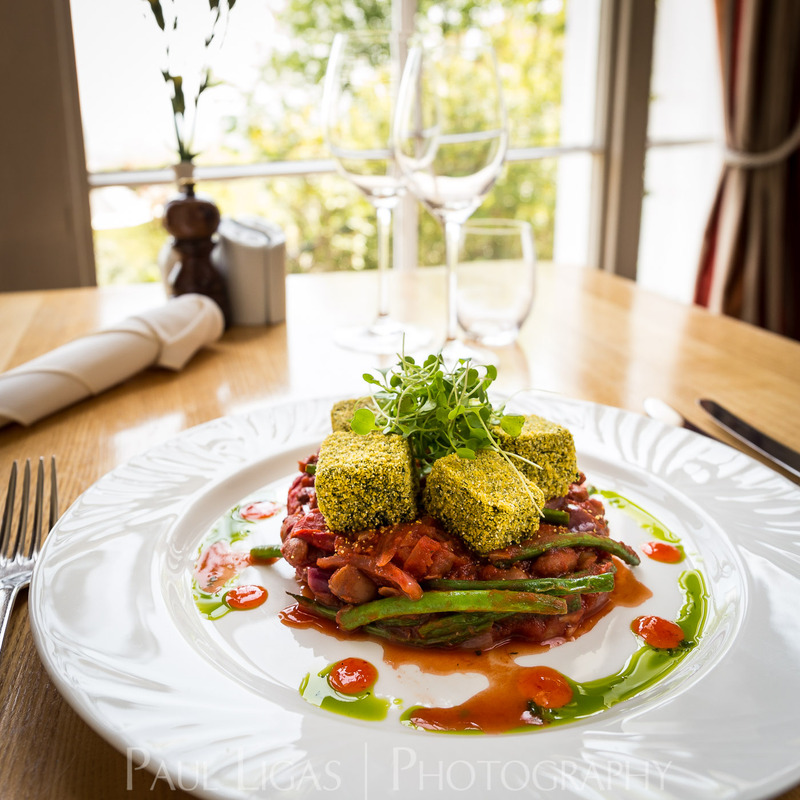 Last week I did some food photography for The Cottage In The Wood, a well known hotel and restaurant in Malvern Wells with stunning views from the edge of the Malvern Hills, who were preparing a marketing campaign for their new menu. I had met Julia Davies a couple of times, who with her husband Nick, run The Cottage In The Wood, and she’d given me a detailed brief (which, for a photographer is a very good thing), and I let her know what I would need for the shoot (a table with a lot of indirect natural light, plus any place settings she’d want on the table). 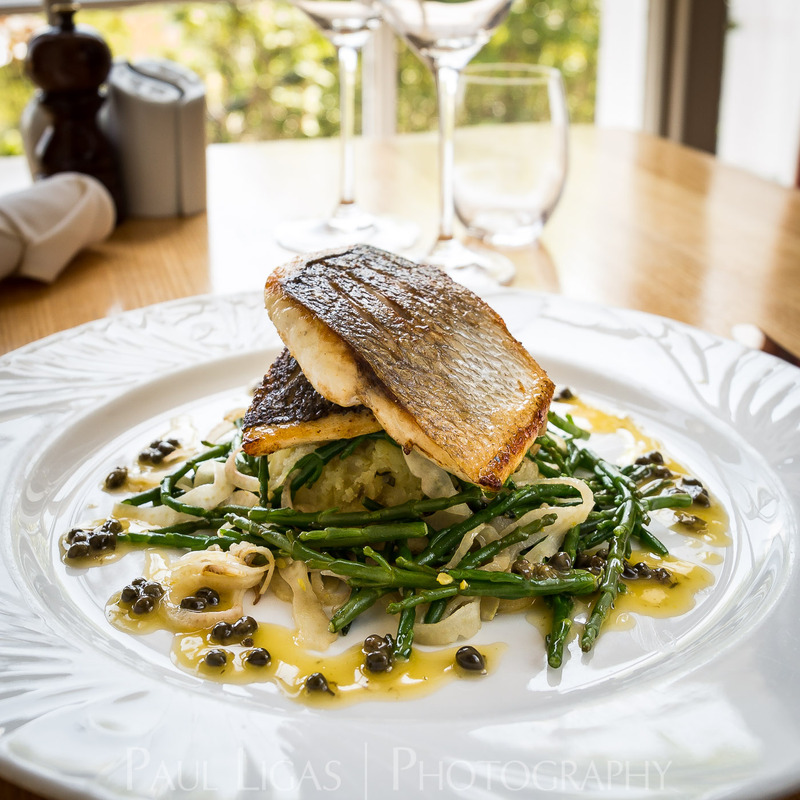 Food photography is more than just taking photographs of food: the photographer, in line with the brief, must use elements of the environment to help create an atmosphere that complements the food and enriches the image in a way that focuses attention on the dish in the photograph. After looking around the restaurant I chose a table against the large east facing window – it was just before noon and the sun had already gone around the corner. The tables were all very brightly lit from the windows, and I decided to take advantage of that by have a slightly high-key feel to the photographs, which means they were very light, and I allowed the visible sky outside the window to be blown out to give an overall brightness to the images. A fairly open aperture made sure that the out of focus elements (everything beyond the plate) would bring attention to the subject and convey that fresh feeling using the clear glasses and the background spring green of the bushes and trees outside the window. So the look was fresh and bright. Then the dishes started to arrive. Everyone was excited about the shoot, and the team at the restaurant all helped to bring the plates to me when they were ready and sorted them out when I was done with them so that I could concentrate on getting the job done efficiently and take the photographs while the food was straight from the kitchen. The prepared dishes were followed by platters of fresh ingredients that are used for the menu, then the cheese trolley with wine to complement it. After the shoot was complete, the table behind me was filled with the dishes that had been prepared and photographed, and everyone was invited to taste them (there were 14 dishes on the table and they needed to be eaten!). It was all as delicious as it looks. 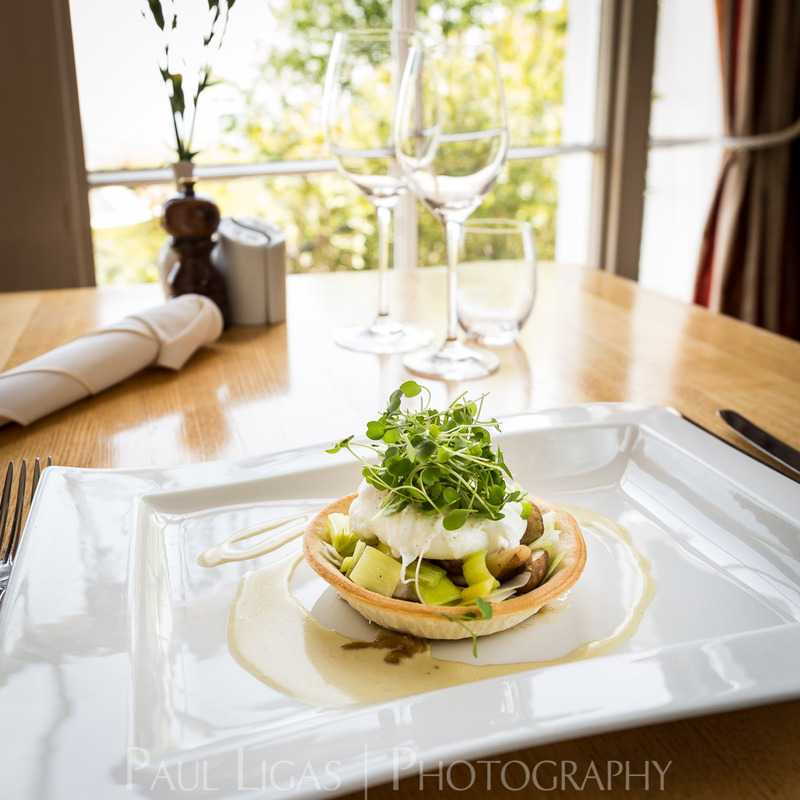 The photographs have already been used on the Twitter and Facebook pages of The Cottage In The Wood to promote the new menu. 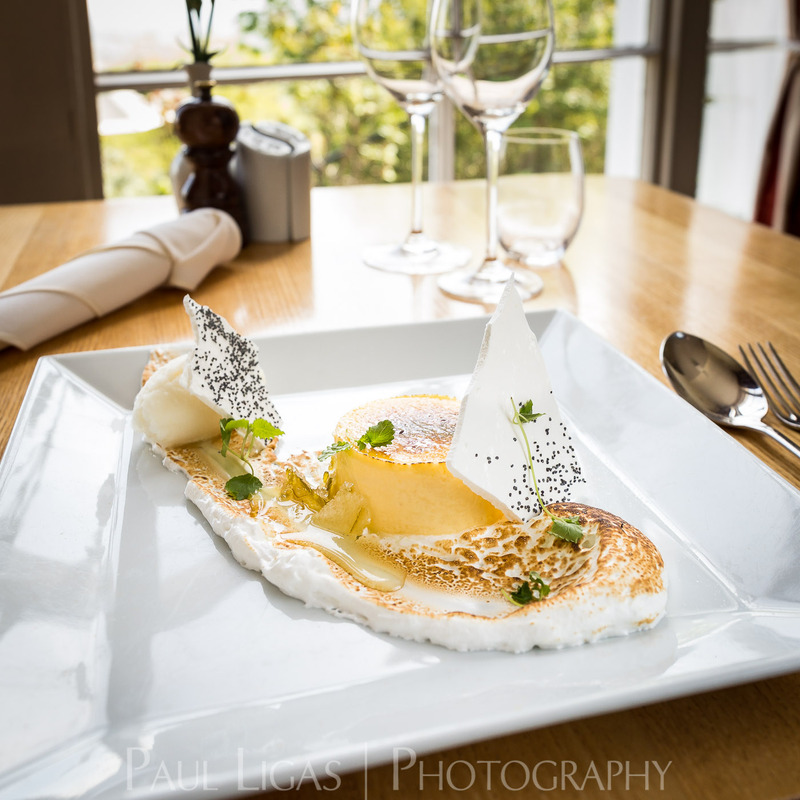 This was a great photoshoot from start to finish – a good, detailed brief from Julia, room for me to interpret that brief creatively, a lovely environment at the restaurant, friendly, interested and helpful staff, and at the end a table full of great dishes to taste. 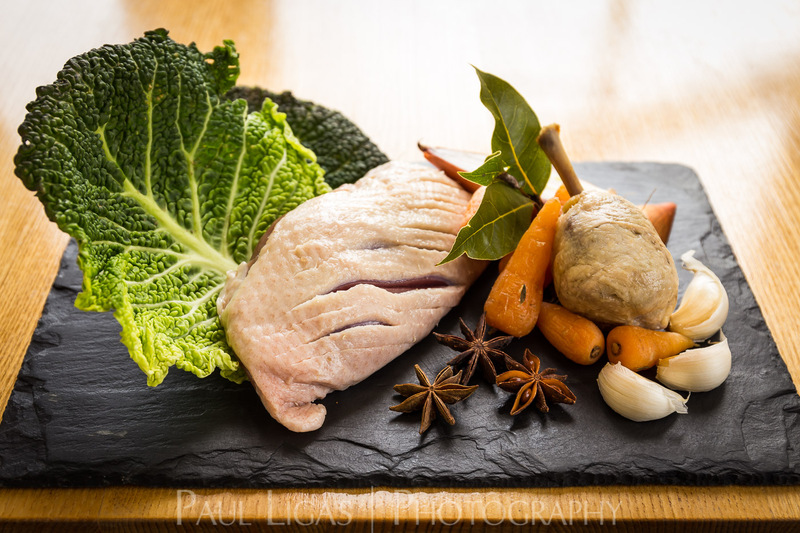 If you need beautiful photographs to show the world what you do best, contact Paul Ligas Photography.